This week the Pictoplasma festival of character design and art is taking place in Berlin, and alongside the conference and screenings that make up the central focus of the event, twenty venues mostly in the neighbourhood of Mitte (including The Circus) are hosting small exhibitions. Pictoplasma have distributed maps as part of this Character Walk, and people are tramping the streets to see what weird and wonderful things they can discover. It is a lovely idea, and we joined in. What struck me as we were walking, first along the Torstraße and then along the Rosa-Luxemburg-Straße to Alexandeplatz and then back up past Hackescher Markt to Rosenthaler Platz, is that this triangle has been the centre of my Berlin life ever since I moved here over a decade ago, despite the fact that apart from the first weeks at the hostel, I never actually lived within it. 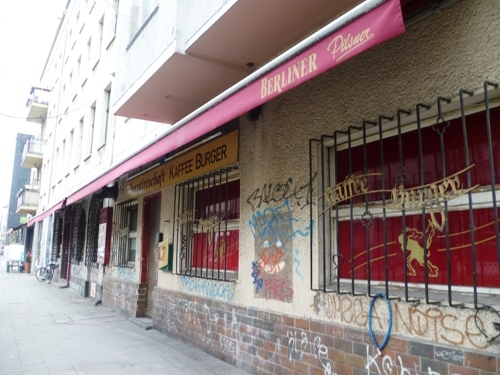 It was in the small hostel bar on Rosa-Luxemburg-Straße (now an office) and then Kaffee Burger that I spent my first evening in the city. I ate kebabs from a shack where now the Wombat’s Hostel now stands. 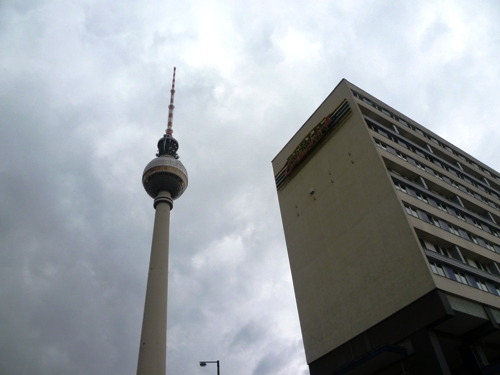 I walked down to Alexanderplatz to buy the Guardian, and stopped for a coffee in a café that has long since disappeared. 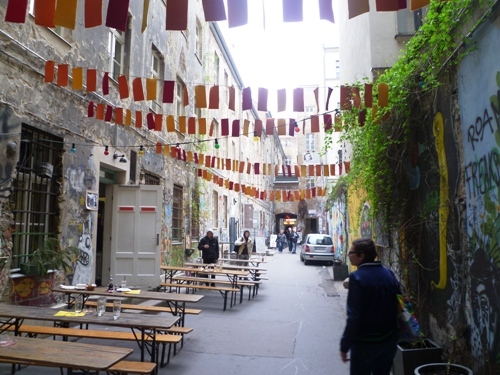 If you spend a lot of time in a place you don’t really notice the changes that happen around you until you take the time to think about it, as Sandra and I did as we walked around the Pictoplasma venues. The road behind Hackescher Markt where I used to take the night bus back to my first apartment down in Steglitz has been diverted as new shops and offices have been built. The Alexanderplatz itself has been spruced up and new buildings added, with a huge shopping centre where the Christmas Market used to set up on wasteland, and a new façade for the Kaufhof department store. 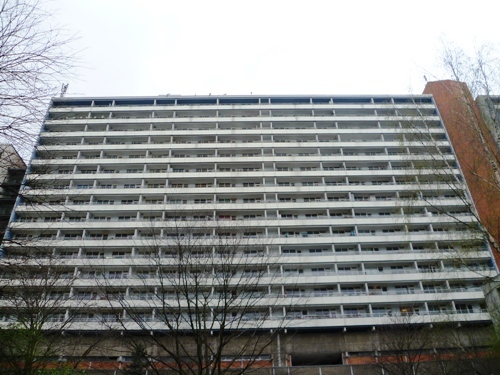 “My overriding memory of the square, on a December evening in 2001, was that it was dark. Dark and cold. 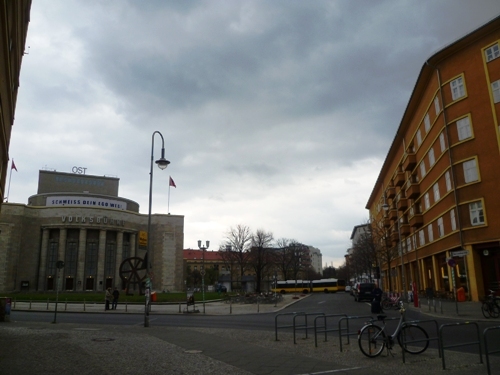 The five corners of the Rosenthaler Platz offered little light from within the buildings onto the square. It must have been different, a year or so earlier, when a Burger King looked out over the intersection, but although the letters remained branded into the facade of the building, it was now occupied by a late-opening bar that cast the dimmest of red lights out onto the street. 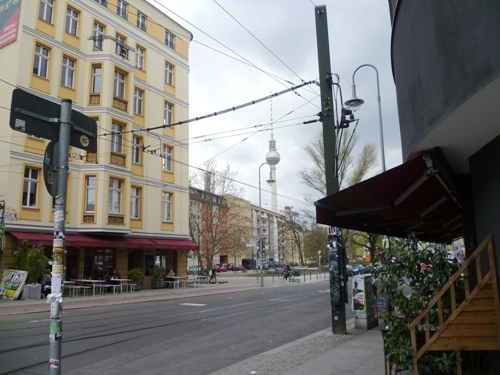 Across the road, Rosenthaler Strasse 1 – now the Circus Hotel – was a dull, brown-plastered apartment house, with a mattress shop on the ground floor, shuttered secure for the evening. Another corner was an empty space, the building most likely lost in the bombing raids of war, replaced at the end of the century by temporary cabins that sold bread and olives, fruit and vegetables, and kebabs. A couple of other kebab shops and the scaffolding of the hostel building completed the scene. All these things came back to me as we explored this oh-so-familiar neighbourhood, looking at the place we know so well through the memories of how it once was, and how it has changed and how some things stay the same. 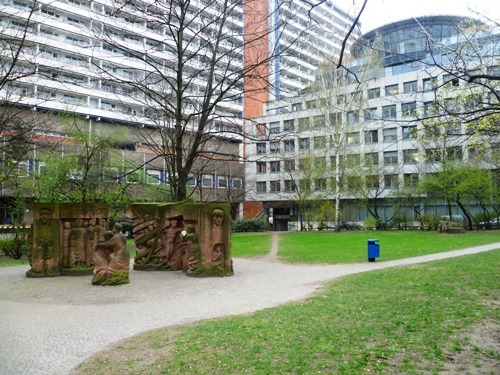 I remember my first Berlin flatmate Thomas taking me on a walking tour, showing me the memorial at the site of the Old Synagogue, above which – five years later – Katrin and I would have our wedding party. The memorial is still there, as is the wedding venue, although it is office space now and there are shelves filled with files where we once danced with our friends. This entry was posted in Memory, Places on April 12, 2012 by Paul Scraton. I remember those days well, the excitement of a new city, feeling like I was the only person in it, walking the empty streets with my tour groups . . .